Out Of Home consumption and innovations to fight wastage are among the drivers of the excellent trend of the food packaging sector. Among materials being used, plastic has the leading role: materials, machines and components evolve to guarantee the high quality requested, even by complex norms. Food packaging is in top shape, as confirmed by data issue d by the Italian Packaging Institute: production is growing, with an increase of 3.1% by weight and 1.9 % by value. Plastic packaging increased by 5% by weight and 3% by value. The greater success of one material with respect to another is determined also by the complex norms which regulate this industry: polyethylene and polypropylene, for instance, comply with the strict properties required for materials that come in contact with foods and are therefore among the most widely used materials. Growth is driven by the rapid expansion of the Out of home segment: the packaging of meals eaten out of home is growing by 1.2% per year. The norms in this industry, which are constantly evolving, contribute to increase the quality, not just the quantity, of those packaging solutions which are called upon to meet the increasing demands for a reduction of wastage (this is the driver behind the expansion of single portion packs) and consequently for a better preservation of food. 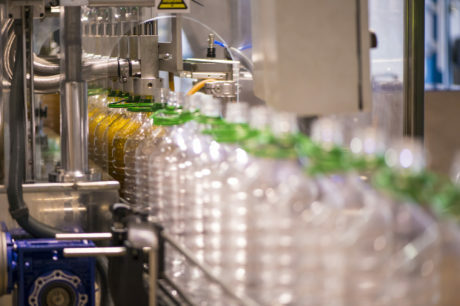 Even in this segment, environmental issues are acquiring increasing relevance, with the European objective of being able to recycle plastic packaging entirely by 2030: another aspect which leads companies to look for new materials and machining to be increasingly competitive and at the same time sustainable. Which are the most widespread materials, and the machines most frequently used, in the plastic food packaging industry? As mentioned before, polymer films used in the food industry create a barrier between the food and such external agents as dirt, bacteria and harmful substances, be they liquid or gaseous. The market of plastic for food packaging is dominated by two polymers: polyethylene PE and polypropylene PP. A recent study on market trends relative to 2017, published by Smithers Pira, a global authority fo the packaging world, estimates that the annual consumption of these two materials is 4.7 million tons for PP and 4.8 millions for PE. Such a characteristic determines the increasing use of these materials in bottling and packaging processes. 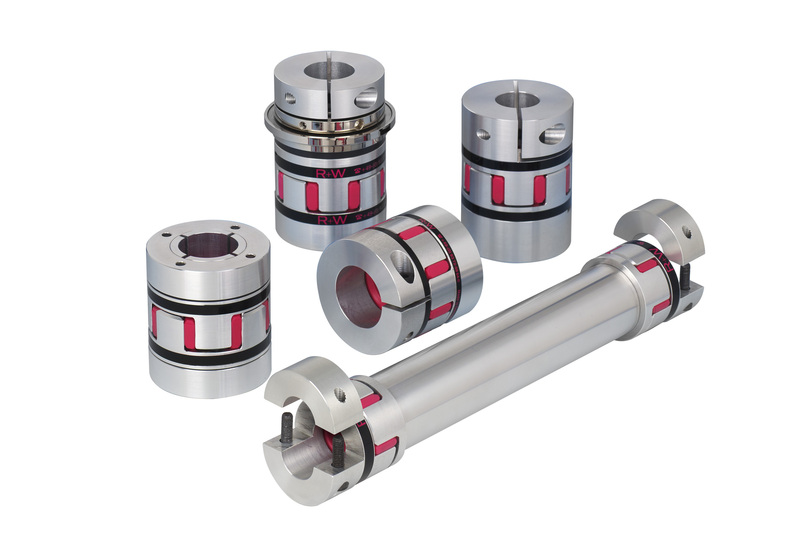 BK metal bellows couplings by R+W, accurate and backlash-free, are highly appreciated for their low inertia momentum, the total absence of maintenance requirements. Another demand which determines the use of flexible packaging is the need for coexistence of the requisites of biodegradability, sustainability and recyclability. Polyporpylene is one of the most widespread materials used in food packaging. It is cheap, as it is characterised by a low density. It is also efficiently replacing such materials as polyethylene, polyvinyl chloride, polyester and cellophane (cellulose hydrate). It is therefore interesting to compare the properties of PP sheets with monoaxial orientation with those with biaxial orientation, as shown in the table 1. Mechanical requisites for flexible packaging incude for PE the use of multilayered structures so as to create composite packaging capable of coping with the product’s functional, protection and presentation demands. Line shafts in the ZA-EZ are ideal for connections with great distances between axes, which is often the case in food packaging machines. Among the modern food industries, packaging represents a fundamental factor which defines both production methods and productivity rates. The main types of machines which make up a packaging line will be now considered. It fits the measured product into its packaging. Volumetric filers may be of piston, diaphragm, time flow or screw conveyor types. 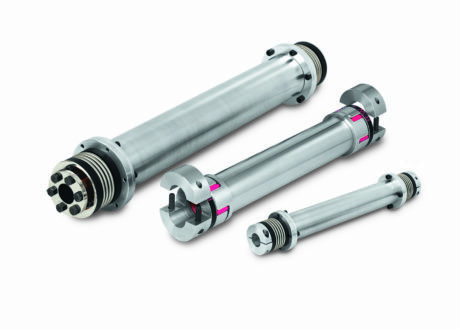 Piston fillers distribute the finished product using a single piston. Diaphragm fillers are very similiar to piston fillers. The advantage of these fillers is given by the presence of a diaphragm which may be deformed to allow the measurement of different amounts of product, without having to replace the measuring chamber as would be the case with a piston filler. These fillers are based on the principle whereby if a liquid product flows in a tube with a given diameter at a constant speed, the amount of product dispensed will depend on the time interval for which the product flows. Screw conveyor fillers are widely used in volume filler systems, for dry or paste products, which use flexible packaging. The product is momentarily collected in a vessel with inclined walls having an opening at the bottom. The measurement of the quantity of the product is carried out based on the number of turns of the screw. SK torque limiters, totally backlash free, allow to protect the motor system in case of overload, disconnecting the driven part within a few milliseconds. Weight fillers are used in all those situations where the product dos not have a uniform density. They may use net or gross weighing systems. The layout of fillers, within a flexible packaging line, may be a lineup or rotary. In these cases, the movement of containers created with plastic materials mentioned before envisages vibration buffering mechanisms torque limitation and absence of backlash with high torsional rigidity. Flexible packaging also implies the use of bags, sachets and wrappers. EK elastomer couplings by R+W combine high flexibility and good resistance. They buffer vibrations and impacts compensating for shaft misalignments. Such a complex activity as the industrial design of food packaging machines finds a valid support in the suppliers of components. This is the case with R+W, leading manufacturer of couplings and line shafts, capable of placing their experience at the designer’s service. In the food packaging machine sector, R+W provides a complete range of solutions for all torque transmission and limitation demands, such as: BK series metal bellows couplings, EK series elastomer couplings, SK series torque limiters and ZA and EZ series line shafts. BK metal bellows couplings, accurate and backlash-free, are highly appreciated for their low inertia momentum, the total absence of maintenance requirements, the practically infinite working life and especially the total reliability. 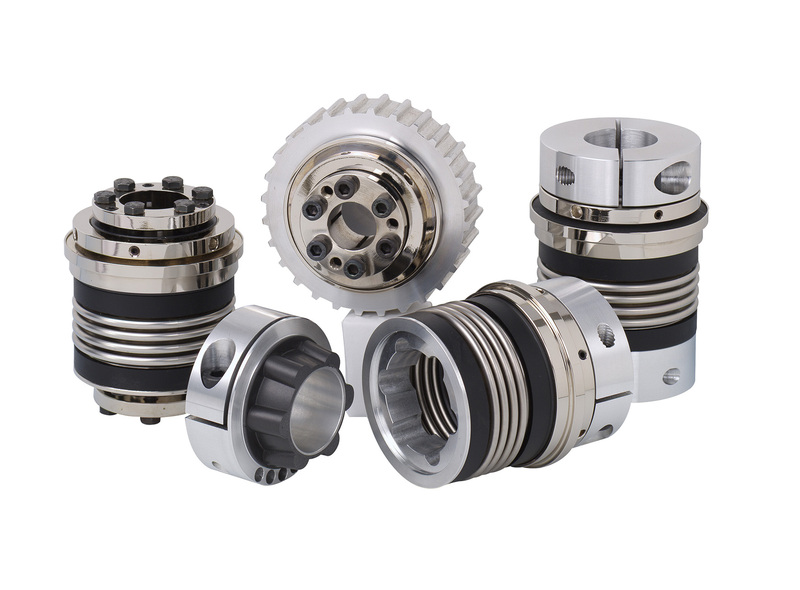 EK elastomer couplings combine high flexibility and good resistance. They buffer vibrations and impacts compensating for shaft misalignments. 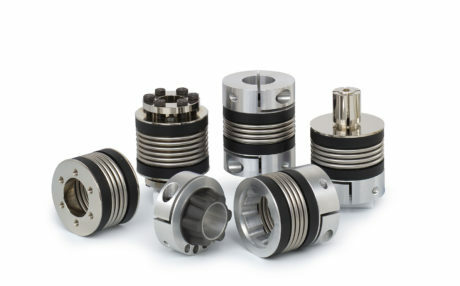 Many elements affect the design of elastomer couplings: factors such as load, starting and temperature determine the duration of the insert. The elastomer element is available in different Shore hardness values, which always allows to find a suitable compromise between buffering properties, torsional rigidity and correction of misalignments for the best part of applications. SK torque limiters, totally backlash free, allow to protect the motor system in case of overload, disconnecting the driven part within a few milliseconds. These very accurate couplings transmit torque with great accuracy and only come into play if the need really arises. Besides, they allow a fast and easy reassembly as soon as the cause of the overload is removed. Line shafts in the ZA-EZ are ideal for connections with great distances between axes, which is often the case in food packaging machines. They are easy to assemble and disassemble without having to move or align the elements that need to be connected. R+W offers line shafts as much as 6 metres long, which do not require intermediate support. Available in special versions as regards materials, tolerance, size and performance, R+W line shafts, if correctly chosen and assembled, do not require any maintenance and last practically forever.